Although the ZTE Nubia Red Magic Mars is dedicated for gaming, still the phone looks good and you can also flaunt around with it. It looks classic and elegant with an attractive body design. 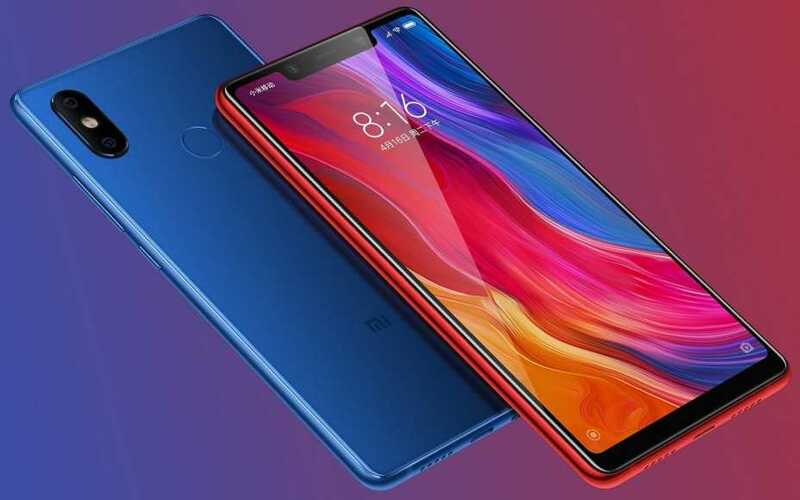 The Xiaomi Mi 8 smartphone is also a great and flagship device that can handle anything you throw at it. The phone is beautiful and it has a powerful hardware on the inside. We will be comparing the ZTE Nubia Red Magic Mars with the Xiaomi Mi 8 smartphone. On the body, The ZTE Nubia Red Magic Mars is built with an Aluminum Alloy. The phone has a smooth panel with a single rear camera and a fingerprint scanner. It measures 75.0 mm x 158.25 mm x 9.85 mm in dimensions and weight 193 gram. The Xiaomi Mi 8, on the other hand, is equally a great phone as well. The handset is built with a combination of metal and glass. It has body dimensions of 74.8 mm x 154.9 mm x 7.6 mm and weighs 175 gram. The ZTE Nubia Red Magic Mars is available in Black and Red colors, while the Xiaomi Mi 8 is available in White, Black, Blue, and Gold colors. 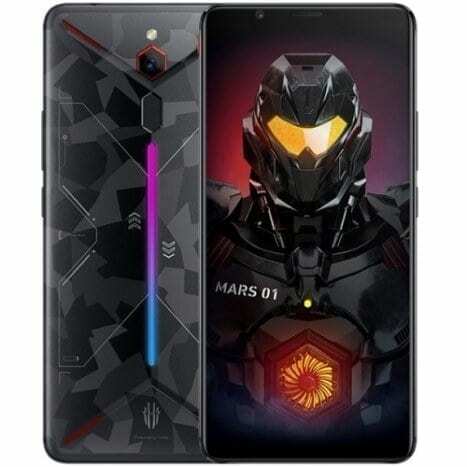 The ZTE Nubia Red Magic Mars has a screen display size of 6.0 inches FHD+ with a resolution of 2160 x 1080 Pixels and 402 PPI density, while the Xiaomi Mi 8 has a screen size of 6.21 inches FHD+ with a resolution of 2248 x 1080 Pixels and 402 PPI density. The ZTE Nubia Red Magic Mars is equipped with JDI IPS capacitive touchscreen and a display protection, while the Xiaomi Mi 8 is equipped with AMOLED capacitive touchscreen and a display protection as well. On the overall, the Xiaomi Mi 8 wins with a higher screen to body ratio. The ZTE Nubia Red Magic Mars has a single rear camera of 16 Megapixels with dual LED flash and a front camera of 8 Megapixels with CMOS Sensor, f2.0 Aperture, and 1080p Video. The Xiaomi Mi 8, on the other hand, has a combo rear cameras configuration. The camera consist of 12 Megapixels + 12 Megapixels paired with dual LED flash and it has a front facing camera of 20 Megapixels with f/2.0 Aperture, Infrared Face Recognition, and 1.8 µm Pixel Size. The ZTE Nubia Red Magic Mars and the Xiaomi Mi 8 smartphone has a Qualcomm Snapdragon 845 chipset with an octa-core processor that clocked at a speed of 2.8 GHz. They also have the same Qualcomm Adreno 630 and they have support for 4G data. The ZTE Nubia Red Magic Mars has a 6GB/8GB/10GB RAM with inbuilt storage of 64GB/128GB/256GB, while the Xiaomi Mi 8 has a 6GB RAM with inbuilt storage of 64GB/128GB/256GB. They don’t support micro SD card. The ZTE Nubia Red Magic Mars is powered by Android 9.0 Pie while the Xiaomi Mi 8 is powered by an Android 8.1 Oreo operating system. The ZTE Nubia Red Magic Mars has a nonremovable battery capacity of 3800 mAh with fast charging technology, while the Xiaomi Mi 8 has a nonremovable battery capacity of 3400 mAh with fast charging technology as well. The Nubia Red Magic Mars will start selling at a price of $480, while the Xiaomi Mi 8 is selling at a price of $429. The Xiaomi Mi 8 smartphone looks more beautiful and it’s also more affordable than the later. To cap it all, it will perform better than the ZTE Nubia Red Magic Mars. This means the Xiaomi Red Magic Mars will make a wise buy.